When it comes to Disney anything, my expectations are really high. I’m happy to report that The Good Dinosaur movie did not disappoint. My family and I were able to attend a media screening of the film but all thoughts shared here are based on our honest reactions. Here are all our reactions to The Good Dinosaur Movie. But first, a little about us for perspective–I’m the mom and I’m 31. Evan is my boyfriend, he’s 29, Reform Jewish, and moved in with us about 6 months ago, taking on the drastic new lifestyle of family man. He’s wonderful. Adam is 14, a freshman, a black belt in Taekwondo, and an independent thinker. Ches is 11, in the fifth grade, opinionated, and loves gaming. 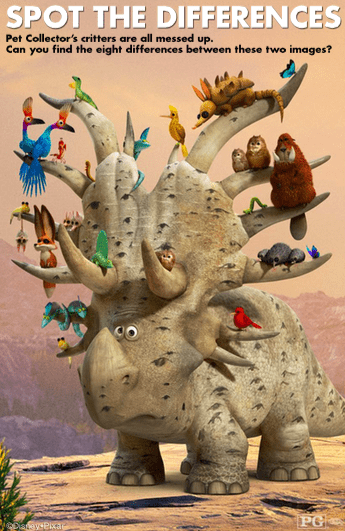 My reaction: I thought The Good Dinosaur movie was sweet, funny and contained deeper messages than I expected. I found the bond between Poppa and Arlo to be the most touching. My sister, as many of you know, suffers from an anxiety disorder–my daughter appears to be going down the same path. With that, it was precious to see how Poppa treated Arlo with respect, encouragement and an overall softness despite his fears and setbacks. He found value in Arlo’s somewhat different, struggling mind. The relationship between Arlo and Spot was also exceptionally well developed. Despite all their extreme differences, these two grow together and learn how to survive, love, thrive and let go. The friendship they built is something the entire world should be mentoring. Evan’s reaction: I thought it was an awesome adventure story. It really captured the discourse of coming to terms with fear and finding your own way to grow up. Adam’s reaction: To be honest, mom, I thought it was going to be sort of lame, but I loved it. It was really funny and I liked the way the two of them [Arlo and Spot] learned from each other. 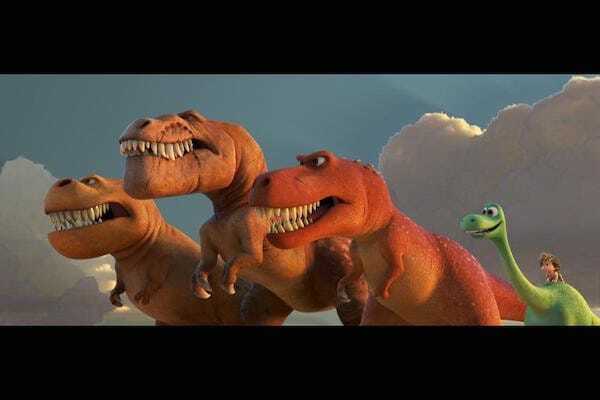 The T-Rex family was hilarious. Chesney’s reaction: It was so cute. The part when they eat the bad berries was so funny. 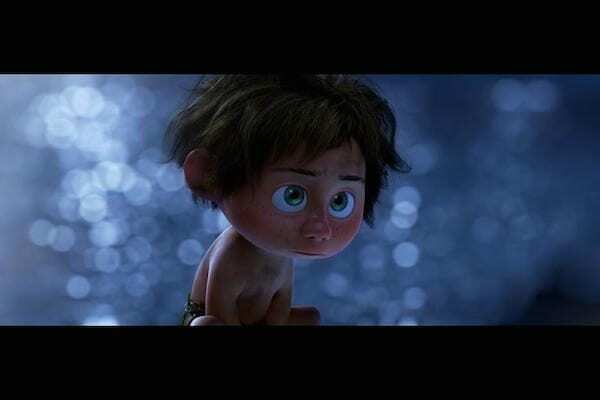 My other favorite part was when Arlo couldn’t scream and Spot bit him. I’m happy they both found their families but I wish they could have been neighbors so they didn’t have to say goodbye. 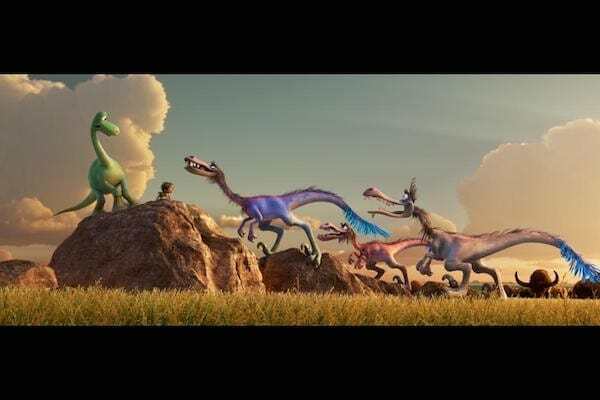 Per Disney tradition, The Good Dinosaur movie takes your emotions on an adventure. You’ll laugh, pause your breathing in moments of suspense, and choke on your own tears. As usual, well done Disney, well done. Check out these fun family activities you can do on the way to the movie, or as part of your family fun night! Simply click on the image to download and print the PDF. Did you see The Good Dinosaur movie yet? What did you think? I still haven’t seen it. I want to though. It looks super cute. Disney Pixar movies always have great color, graphics and animation. The storyline for this one does sound good, I’m hoping to get to see it at some point. This looks like a fun family movie. It is good to know that all the kids liked it, even the one who expected it to be “lame”! 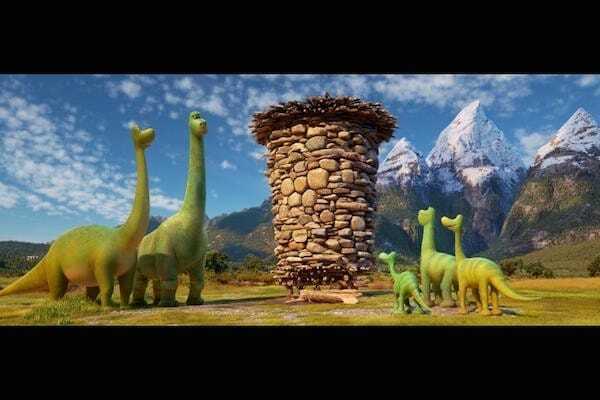 The Good Dinosaur sounds like a FANTASTIC movie. I’ve heard some people say it might be a bit dark for younger kids, but I feel like a little dark makes the light brighter. oh man. i really want to see this movie. i hope i can set some time aside.. it is so cute. i remember when i first saw the previews at the movie I was dying so hard.